Imagine a food system where there’s no such thing as waste and where everyone has access to the healthy, nutritious food they need. Imagine a living lab that promotes collaboration between food entrepreneurs, farmers, researchers and social innovators — and a rural-urban partnership that leverages smart technology to make it all possible. A global transformation has begun — and Guelph/Wellington aims to lead the way. 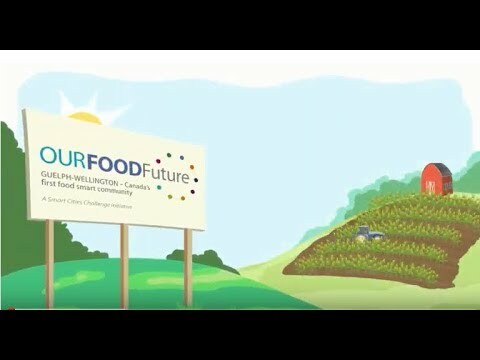 Our goal is to become Canada's first technology-enabled circular food economy. 50% increase in economic revenues by reducing and reimagining our food waste. 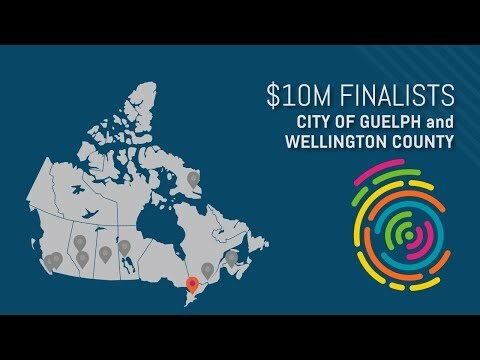 Guelph/Wellington has been named a finalist in Infrastructure Canada’s Smart Cities Challenge, and together we have a chance to win $10 million to put our vision into action. Help us create the food community of the future — Our Food Future. How much do you know about the food economy in The City of Guelph and the County of Wellington? A resilient, inclusive and collaboratively built community where people, data and technology create a living lab of possibilities. Help us get smarter by taking our quiz. No identifying personal information is included in this quiz. Check out our 50 tips on reducing food waste. Print off this certificate and fill it in with a tip that you will do to become a Food Future Star!